This year World Autism Awareness Week runs from 27th March to 2nd April. 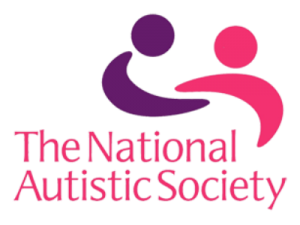 During that week on Monday 30th March (Due to inclement weather the skydive has been rearranged for Friday 3rd April) a friend will be hoping to raise both money and awareness for the Nation Autistic Society. MaFt who runs both New on Netflix UK and MaFt Host will be jumping from a plane wearing a NAS t-shirt. Now before I continue I think there are a few things I should tell you about MaFt. He will probably use a few choice words as he jumps from the plane because MaFt Hates heights! 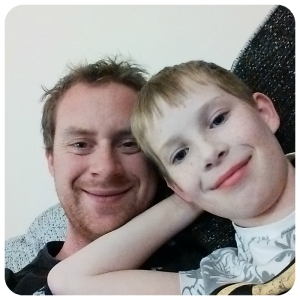 I would love my readers to help MaFt smash his target by clicking the picture below and sponsoring him please. The national Autistic Society is a brilliant charity and deserves every penny it can get. This entry was posted in Old Stuff and tagged autism, charity, heights, MaFt, national autistic society, Skydiving, world autism awareness day. It is a very worthwhile cause and close to our hearts as I have two nephews with autism. 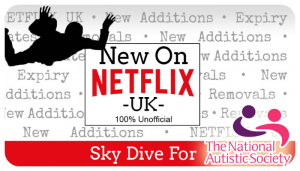 Having a son with Autism too – I’m thrilled your picked this cause 🙂 Not sure I could ever summon up sufficient courage to Sky Dive though! Oh is he jumping with his mates? Because he sounds just like the guy my friend’s brother is jumping with. Best of luck to him. No, he’s just jumping with his Mum. Well done for overcoming the height fear and doing the dive. A fantastic effort. Good luck with the skydive, far braver than I would ever be! Good lucj with your SKydive. I would love to do it one day! So much braver than I am and a brilliant cause – good luck!! What an amazing thing to do…I hope it goes well. Great cause, not sure I would be brave enough though – good luck!